Where is the magic in a black girl’s life? In the mainstream, you never see it. Even on popular television shows, like Scandal and How to Get Away With Murder, our leading ladies’ lives are filled to the brim with sorrow and madness. On Sleepy Hollow, our Witness was killed off. Last week, a 16-year-old black girl was beaten to death in a high school bathroom. Throughout the visual album, Beyoncé made this point clear, not just by featuring the mothers of young black men killed by police, but by speaking of her own unique experience as a daughter and as a wife; as a young woman shaped by and in reaction to the whim of men. As a black woman, I felt her whole album, its raw political message and its message of black empowerment. But it was as a young woman that I most connected with her lyrics. As a black woman, I felt her whole album, its raw political message and its message of black empowerment. But it was as a young woman that I most connected with her lyrics. I, too, have spent my entire adult life running from my mother’s past; running from my father’s mistakes. And my stepfather, who loved whiskey with his tea, used to ride around with me on his motorcycle, making sure I knew how to be tough; how to be safe from men like him. The women in my family also say that we are cursed; that we are doomed to love men who love themselves. I am queer, and so this applies to all people who have tried to love me. I have run from them dutifully, gazed at them with mistrustful eyes, one foot out the door. Where is the magic in a black girl’s life, when every spark can turn to fire? The beauty of the album is that it encompasses both systemic oppression and personal heartbreak; forces its viewers to see black women, who are usually invisible or else monotholic, and understand them as people, too. People, first. It is especially apt that Beyoncé should be the one to do this, as she herself is often seen as an untouchable goddess (during the video, the words “God is God and I am not” flash across the screen) and her marriage, though it has been shrouded in rumors, has been held up as ideal. 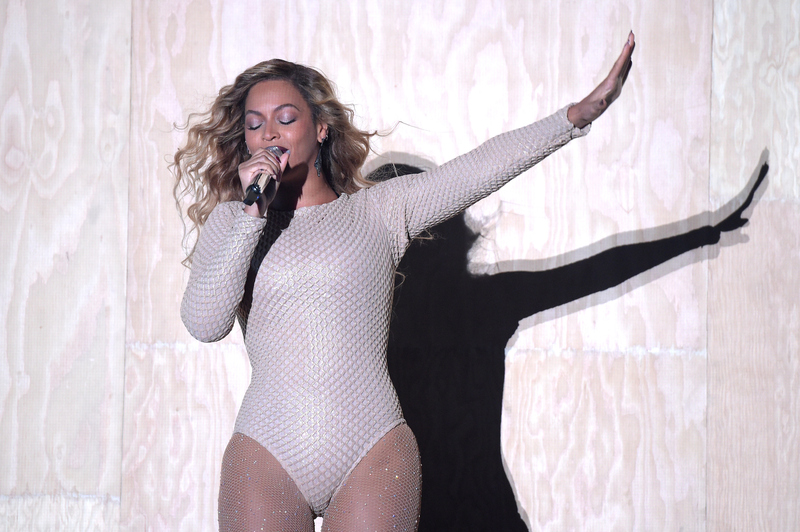 Beyoncé breaks this down, rips it apart, screams that she is not perfect. She embodies holy virgins in some scenes and ratchet queens in others; her hair is never straight, and sometimes wrapped in the silk scarf worn by black girls everywhere. She demands to be seen as whole, as human. As imperfect, but damn well deserving of love, respect, and admiration just the same. She is not above us, but one of us. Black girl magic is not mystical or mythical. It is humanity; ours, praised, when no one else will see it, give it room to breathe. It is being given lemons, and making lemonade.